The industry standard systems for the holding, adjusting and setting of overhead line tower leg stubs was deemed unnecessarily risky to the project team. Project team members David & Sean Barker took on the challenge to develop a more robust system of work using their 20 years worth of knowledge. 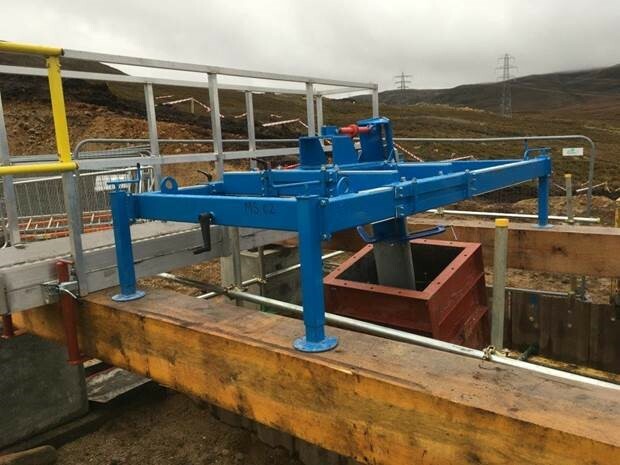 They developed a single leg template which has been implemented on the Knocknagael to Tomatin Overhead Line project. This safe method of holding, adjusting and setting the overhead line tower leg stub connections allows for final adjustments safely as part of the pre-pour checks to within +/- 6mm (designed tolerance is +/- 15mm) and has been recognised as industry best practice by our customer. The template design provides an extremely accurate engineering solution and enables a high degree of quality control in the positioning of tower legs when installing overhead line towers.